Kentucky sports betting has taken a major step toward legalization. A proposal for the nation’s highest tax rates on placed bets could stop it in its tracks. State Sen. Julian Carroll filed a bill this month that lays out Kentucky’s legal framework for sports betting. The bill follows up on discussions among a bipartisan group of lawmakers and puts sports wagering up for debate on the legislature’s 2019 calendar. With the bill drawing support across both chambers and across the political spectrum, and with an increasing number of states passing their own laws, this latest development puts the Bluegrass State in a strong position to approve sports betting within the next 12 months. The bill’s unrivaled tax structure could derail that progress. Unlike most other states that charge on net earnings, Carroll’s bill calls for a three percent tax on all bets placed. Sportsbooks typically make about five percent margins. That means Kentucky’s bill would essentially tax about 60 percent of the books’ profit. Though this is better than Carroll’s bill from the previous legislative session which called for an unimaginable 20 percent tax on all bets placed, it still could be enough to dissuade any gambling partners from joining Kentucky. Pennsylvania is the prime example. The state was one of the quickest to embrace legalized sports betting, passing laws even before the Supreme Court ruling that struck down the federal ban. But the Keystone State laws called for a tax of more than 30 percent on revenue. That, along with an initial $10 million license fee, has kept away gambling partners. Now Pennsylvania is in a holding pattern, watching as other states pass laws and take their first bets. Rhode Island will take its first sports bet on Oct. 1, but its 51% fees on revenues dissuaded all but one gaming provider from entering the state. Industry experts worry that these fees will discourage the state’s gaming entities from working to attract more bettors because the return on investment won’t be worth it. For comparison, Nevada taxes at a rate below seven percent. Delaware and New Jersey, the next two states to legalize sports betting, are around 10 percent. The rest of the bill proves more conducive for wagering. Unlike Pennsylvania, Kentucky is asking for a $250,000 annual fee instead of a cost-prohibitive $10 million. Like all other states with laws in the books, Kentucky has eschewed what professional sports leagues call an “integrity fee.” The leagues had argued that a fee on all bets placed was necessary to protect the games from outside influences, but lawmakers across the country have rejected this claim. Kentucky lawmakers may give a nod to these leagues through spots on the state’s regulatory body. The bill puts sports gambling authority under the purview of the Kentucky Horse Racing Commission, whose board members are appointed by the governor. Carroll’s bill specifically encourages the governor's office to consider officials from professional sports organizations, like the NBA, NFL, MLB and NHL, as well as collegiate groups, most notably the NCAA, for the board. While some states have placed their respective lottery boards in charge of sports betting, the Horse Racing Commission seems the best option for Kentucky. 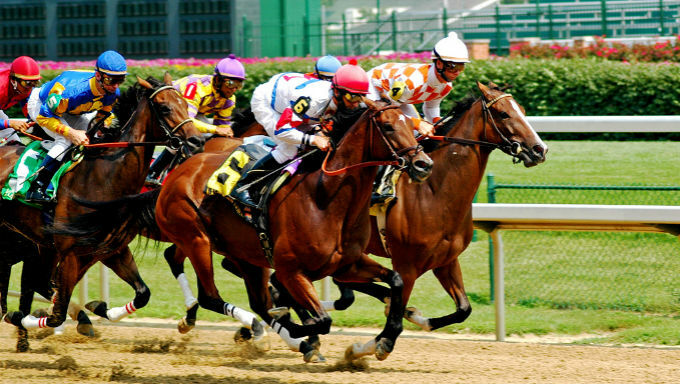 Horse racing is an iconic industry in Kentucky and the board already oversees the annual Kentucky Derby at Churchill Downs racetrack in Louisville, the most well-known horse race and racetrack in America, respectively.